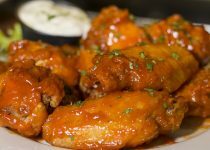 Tavern On The Hill restaurant located on Route 141 at the Easthampton Holyoke townline combines a spectacular location with great food , including our new house smoked BBQ menu items. 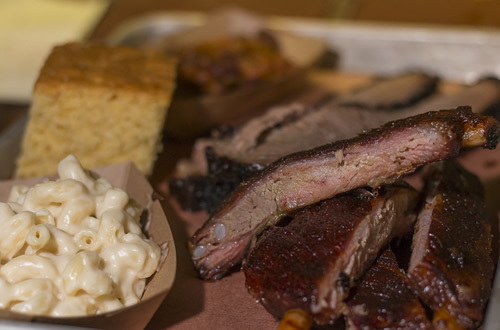 Award winning chef/owner Lawrence Guyette has created an exciting new menu; including smoked BBQ that is sure to please. Mountain breezes cool you in the summer and a wood burning fireplace warms you in the winter. Whether you dine indoors or out on our deck, you will be treated to an eagles eye view of the Valley while enjoying some of the areas best food. 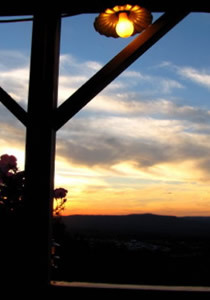 Tavern on the Hill is easy to get to and the perfect place to come, relax and enjoy anytime. 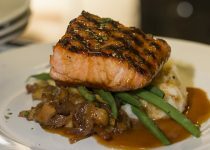 Serving an eclectic menu including house smoked BBQ, grilled salmon, and some of the best burgers around all in a casual laid back atmosphere. Enjoy a nice craft beer while sitting looking over the Pioneer Valley. Perhaps you would rather grab a table fire side, the perfect atmosphere to appreciate the offerings of our full bar and wine list. Dinner is served Monday-Thursday 5pm-9pm and Friday & Saturday 5pm-10pm. Don’t have time to join us for dinner? Call ahead and order your meals to go. Let Tavern on the Hill mix you up a cocktail that will help keep the winter chill away. Expect inventive takes on classics, unique spirits, New England inspired ingredients and all the latest in in cocktail trends. Served Monday-Thursday 5pm-9pm and Friday & Saturday 5pm-10pm. 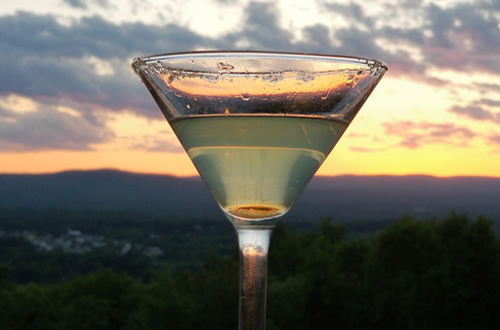 Come by and enjoy a cocktail with one our dinner menu choices and a beautiful sunset! Please call 413-493-1700 to make reservations, please do not email your reservation to us. We accept reservations for parties of any size for inside dining. Parties greater than 5 will not be seated until the entire party arrives, and we can not hold a table for more than 15 minutes. Seating on our outside deck is first come first served and we require that your party be complete before we will seat you. Gift cards are available in any denomination at Tavern on the Hill, or they can be purchased on line in denominations of $50, $75, $100 or $150. Tavern on the Hill updated their cover photo. Too tired to cook dinner after working in the yard all day? Want to stay in and watch UMass, and or Bruins Hockey? Let us cook dinner for you. TOGO is the way TOGO....speaking of GO... GO, GO U, Go U MASS, GO UMASS! Southwest Chicharrones ~ Deep fried pork chips dusted with our rib rub, a little sweet & a little heat, and a lot of crunch.